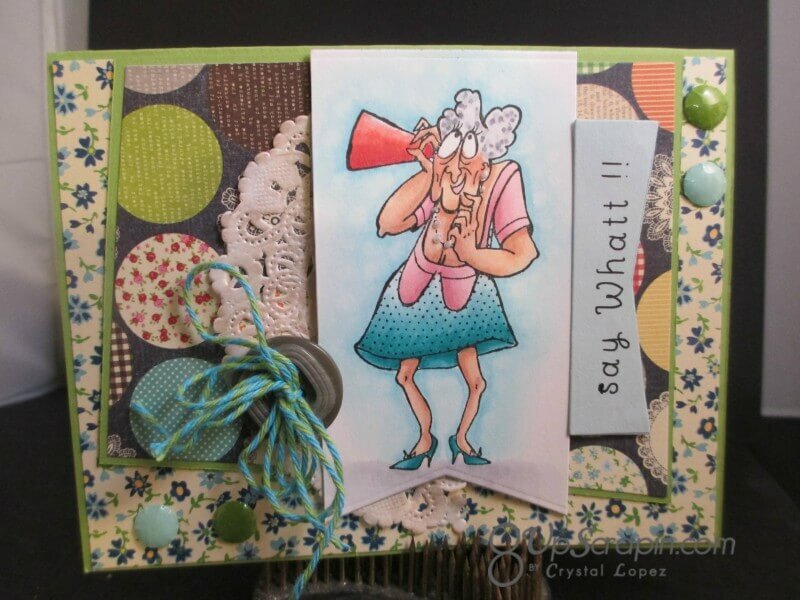 It’s Crystal here and today’s card I am using an image from Seniors Full sheet from the I Brake for Stamps store . 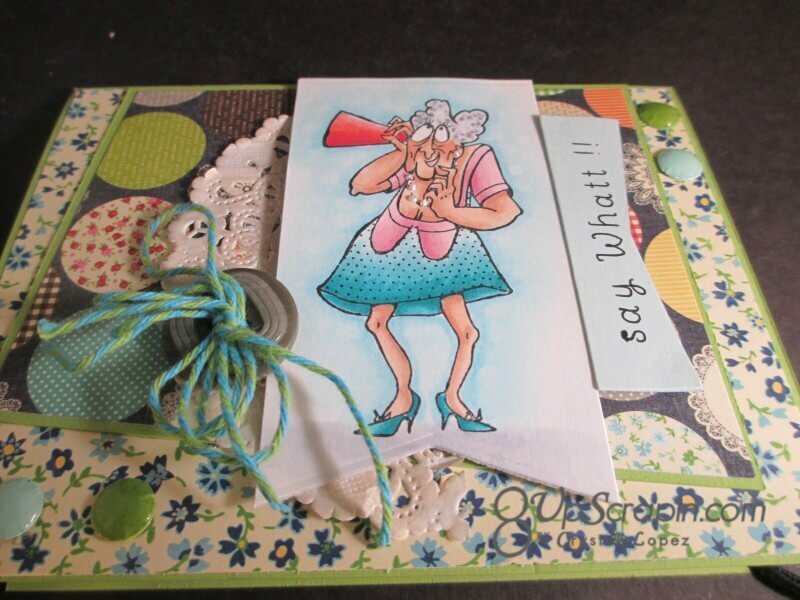 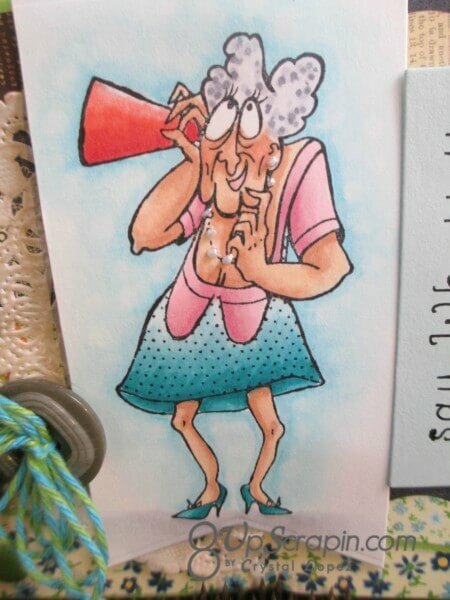 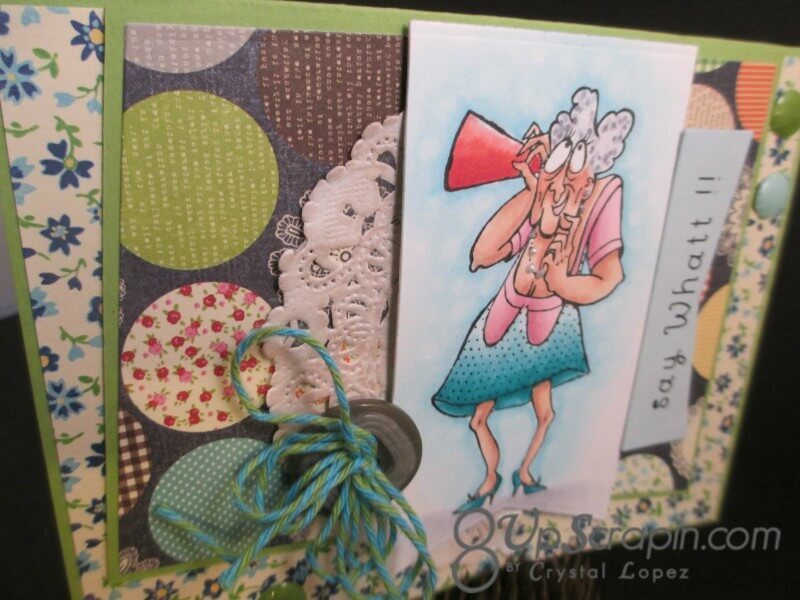 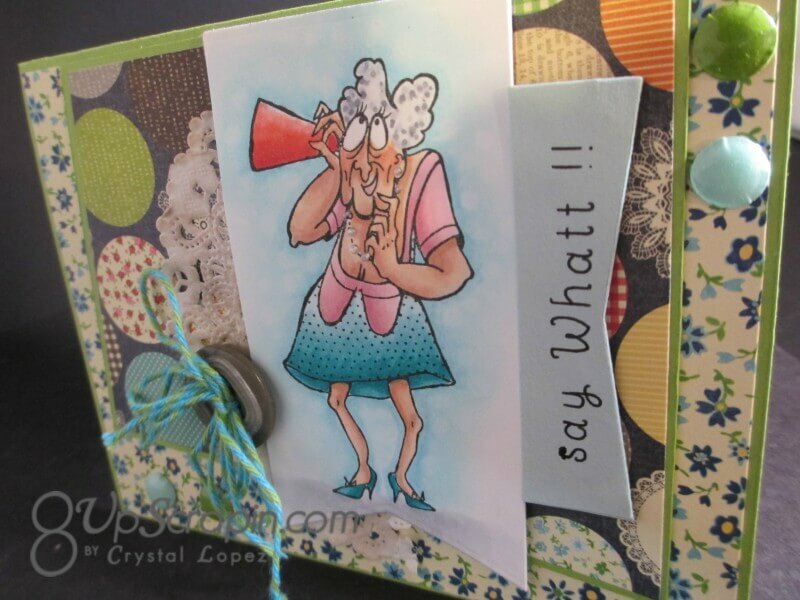 Do you ever look at a stamp and wonder what the image is doing , well today I could just imagine the little old lady trying to listen in on some good gossip, lol .The sentiment I came up with for this card is Say Whatt !! 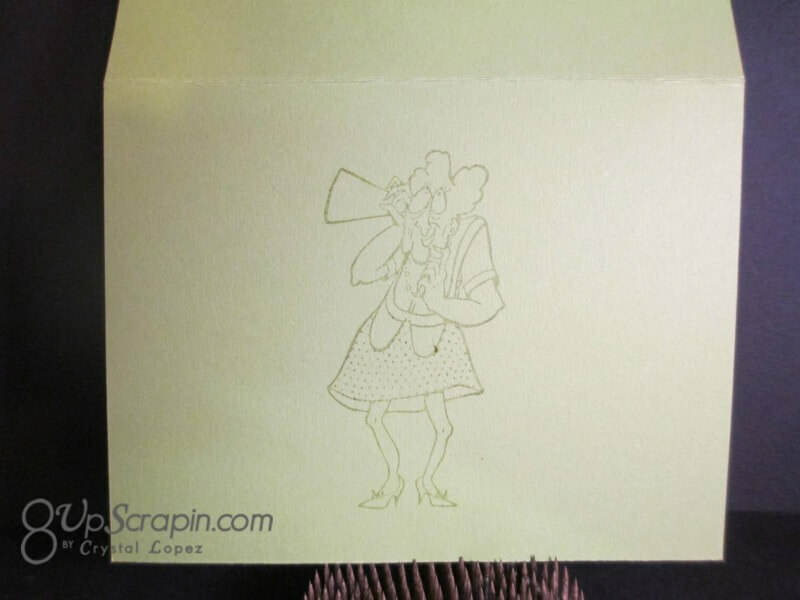 I used my Silhouette and a sketch pen to write it and then die cut it out ,I like to do this when I don’t have a stamp to say what I want it to express .